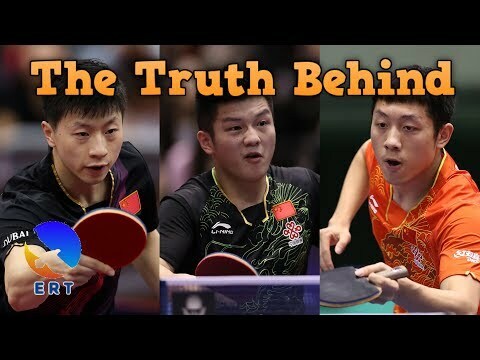 During the Seamaster 2017 ITTF World Tour China Open held in Chengdu, China in June 2017, the top three table tennis players in the world: MA Long, FAN Zhendong, and XU Xin, did not turn up for their matches. The trio did not provide the ITTF or the organizing committee any immediate reason why they did not turn up for their matches. I’ve explained in my previous videos the truth behind this scandal. The real reason is: Ma Long, Fan Zhendong, and Xu Xin tried to save their head coach, Liu Guoliang, from the resignation. Both the head coach and the Chinese National Team are the victim of the political fight between the two bosses. This is the protesting! Not a simple no-show! If you want to know who are the two bosses, and the detailed about this political “game” of the Chinese authority, watch this video “Will Ma Long be banned?”. 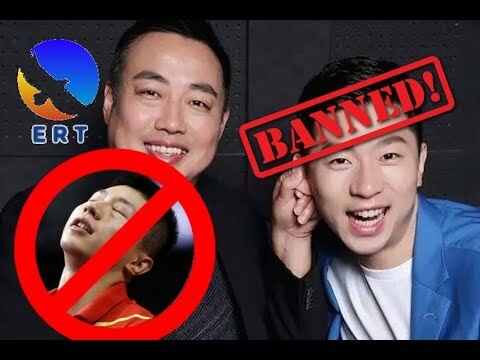 Will Ma Long be banned? This decision of ITTF is totally stupid! Why? Everybody knows the reason. During the Chinese Open, a thousand of fan shouted-out the name of Liu Guoliang in the stadium. ITTF also knows the reason of the forfeit. But they use this argument to “set up the investigation”. So, what is the result of your investigation, ITTF? Show us? Be human, ITTF! They want to do the protest to save their coach! This is normal! ITTF should understand that the only way to inform the world about the political fights is to protest. And these 3 players (Ma Long, Fan Zhendong, Xu Xin) are brave to do that! Of course, the trio can easily “trick the rules”: They can make themselves injury or sickness! But they don’t do that! No! The fan around the world is with the Trio. Their action showed us the beauty of sportsmanship, the relationship between their beloved coach and players! That’s the stupid decision of ITTF has damaged the own image of ITTF! OK, ITTF plays with the rules! But show me the rule where I can find this amount of sanction! Who decides this amount? Why 20 thousand but not 2 hundred, 200 thousands or 2 millions dollars? It’s ridiculous! I’m also a player who plays regularly in the national leagues and some tournaments. So if I didn’t show up in my matches for any reason, and ITTF or the organization can decide to fine me 2 thousand dollars or 20 thousand dollars? If everybody accepts this decision of ITTF, it will be crazy! Imagine: I miss my match during a tournament (I’m not sick or injury). But imagine, I miss my bus, or my car is broken, so I can not show up in the tournament. So I broke the 3.5.3 ITTF Rules. So the tournament host or ITTF can fine me? Stupid! For me, ITTF is no longer a sports organization. But rather a beneficial organization. All they want is money and media attention. Es una estupidez, castigar de esa forma a los 3 mejores jugadores del mundo por intentar ayudar a su entrenador, todo esto no es más que una muestra de apoyo de la ITTF a lo que hizo -de mala forma- la federación china. Es una venganza política armada por china. Como no pueden sacar fácilmente del equipo a los 3 mejores, los sancionan de la peor forma. Ahora entiendo porque Xu Xin ya no está dentro del top ten del ranking mundial.